Fairbanks, Vases (MFA), no. 557.2. The pinax is one of a series, and likely was installed to the left of the MFA 27.146, which shows the prothesis , the laying out of the body on a funeral couch (kline). 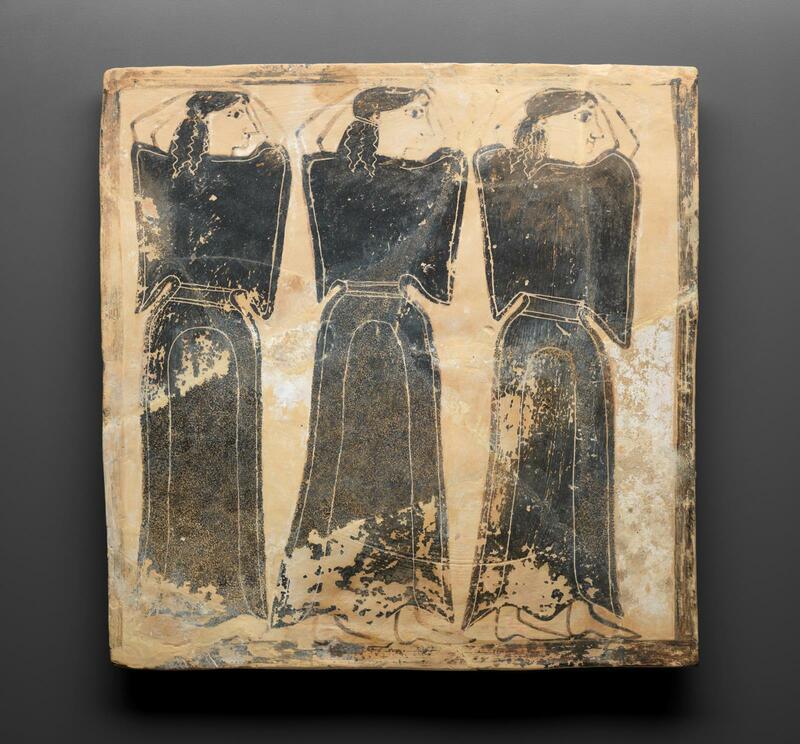 This clay plaque (pinax) features three women, facing towards the right. They are barefoot, draped in voluminous garments cinched at the waist, and raise their arms to their heads, in a mourning gesture familiar in Attic iconography since the eighth century B.C. The plaque’s edges have a plain black border.